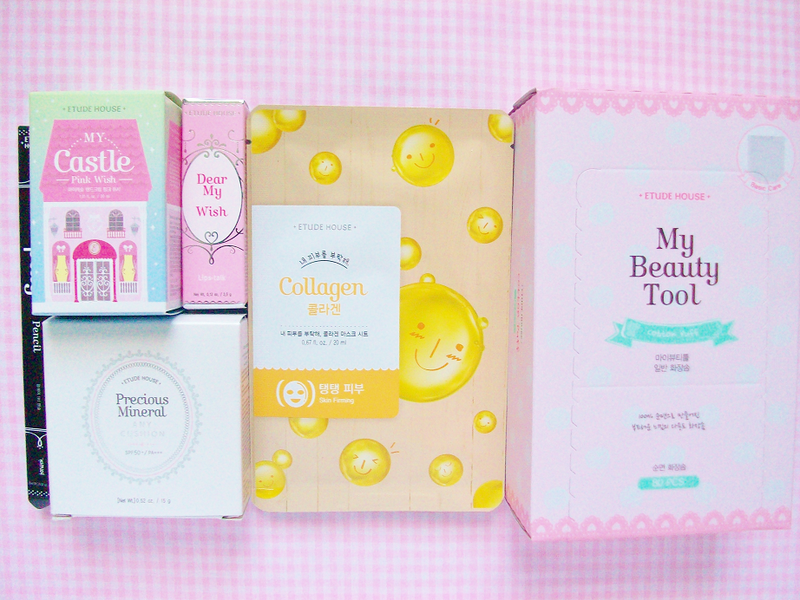 As you guys know I am a big fan of Korean beauty products. 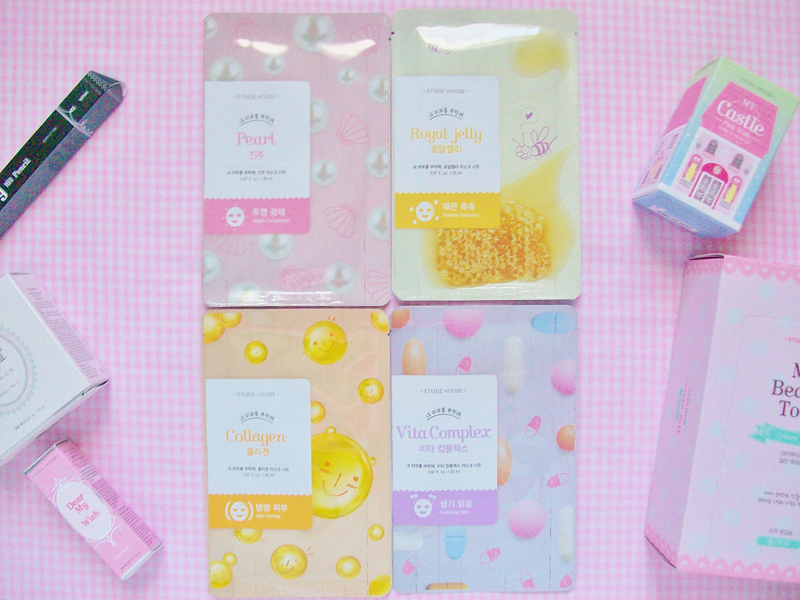 A few weeks ago one of my favorite Korean cosmetic/skincare brands Etude House was having an amazing offer of 15% off their entire website (this discount is still active if you checkout using Paypal) along with free shipping over orders $30. So I decided to place an order and try out a few items that I've been meaning to test. 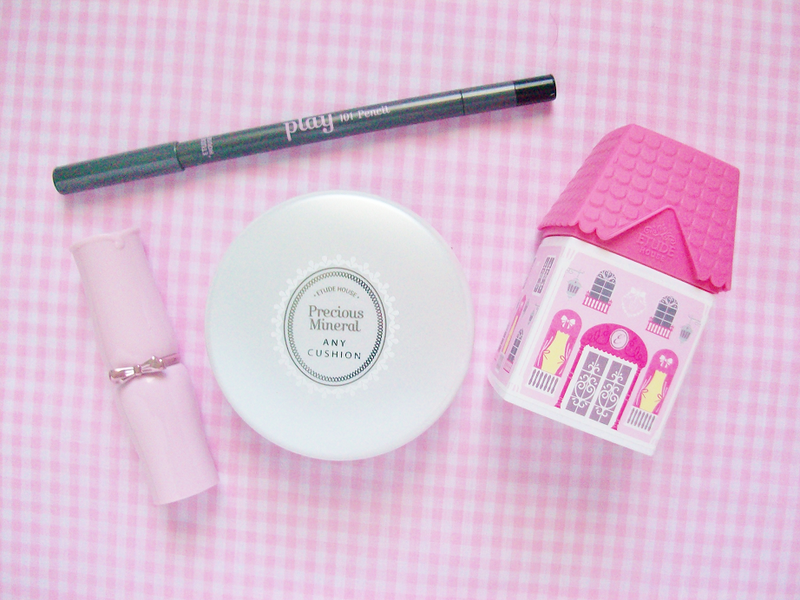 Of course I had to share what I got with you all because Etude House is known for their adorable packaging! 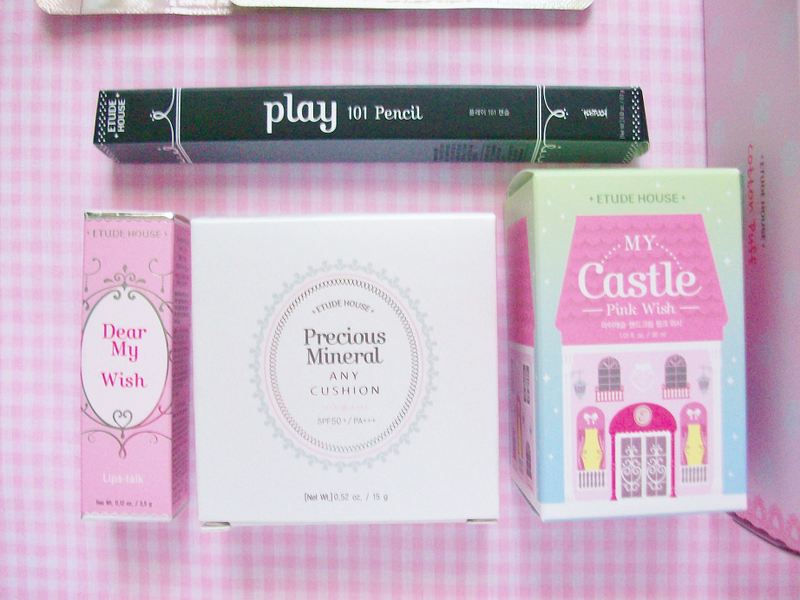 This was my first time ordering from the global Etude House website. 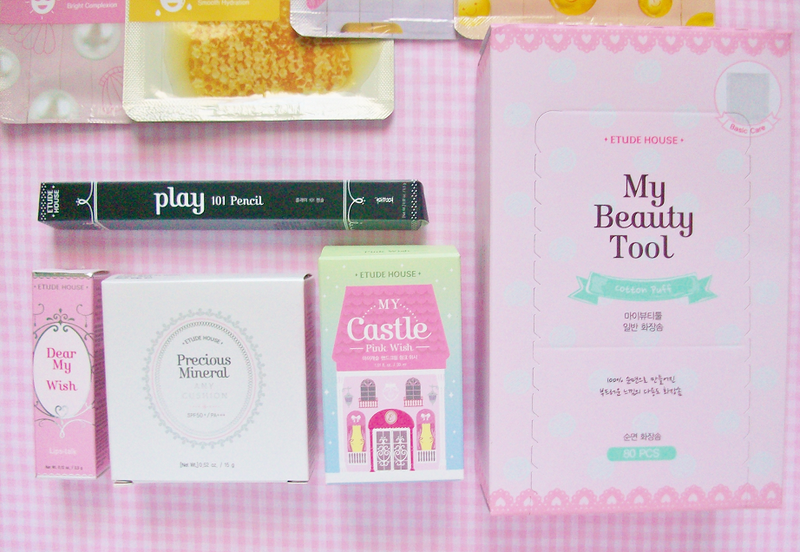 It took about 3 weeks for my package to arrive and everything came in packed in a cute Etude House box. The products came with bubble wrap around them but the eyeliner box still got smashed. 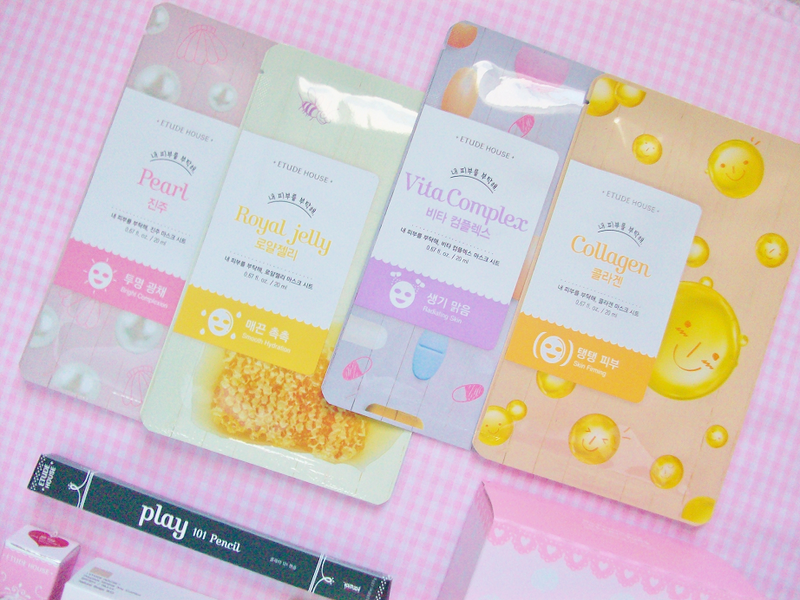 Etude House was also having a crazy sheet mask sale so I picked up a few and the packaging on the masks are so cute! 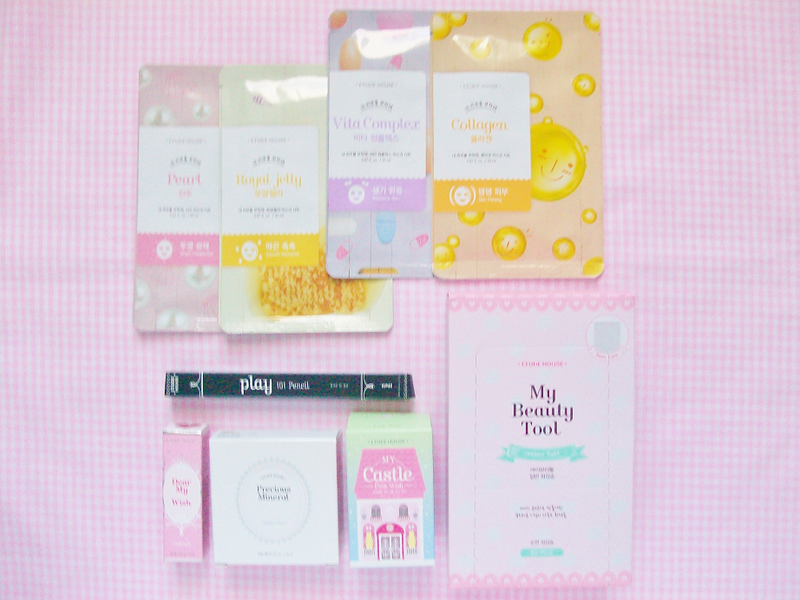 From Etude House I also got the Play 101 Eyeliner Pencil in black, Dear My Wish Lips Talk in BE101, Precious Mineral Any Cushion, My Castle Hand Cream in Pink Wish, and My Beauty Tool Cotton Puffs. I've been really wanting to try these products for a long time so I'm excited to try these products out! 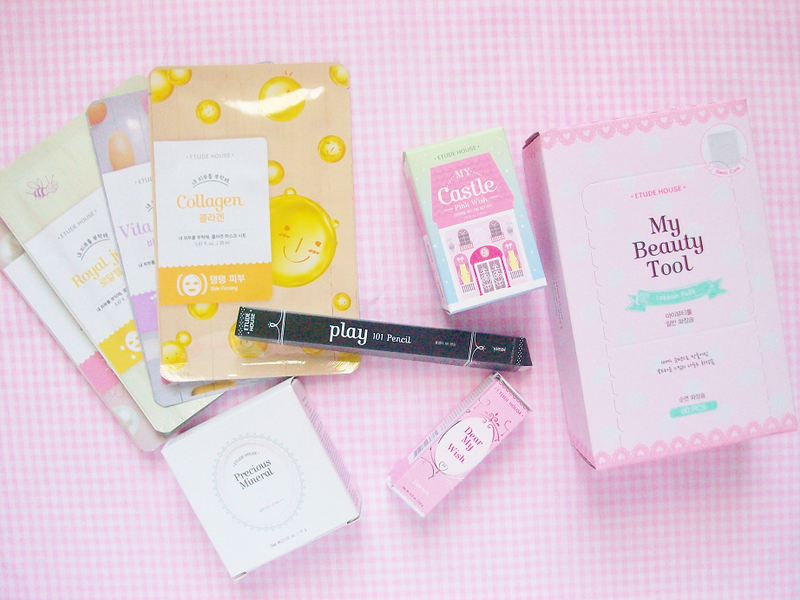 Here are what the products look like outside of the boxes. I bought the Dear My Wish Lips Talk lipstick because they had a offer going around that if you buy one Dear My Wish lipstick you would get a mini size Real Art Cleansing Oil but I never got one which disappointed me because I only bought the lipstick to get the free deluxe sample. 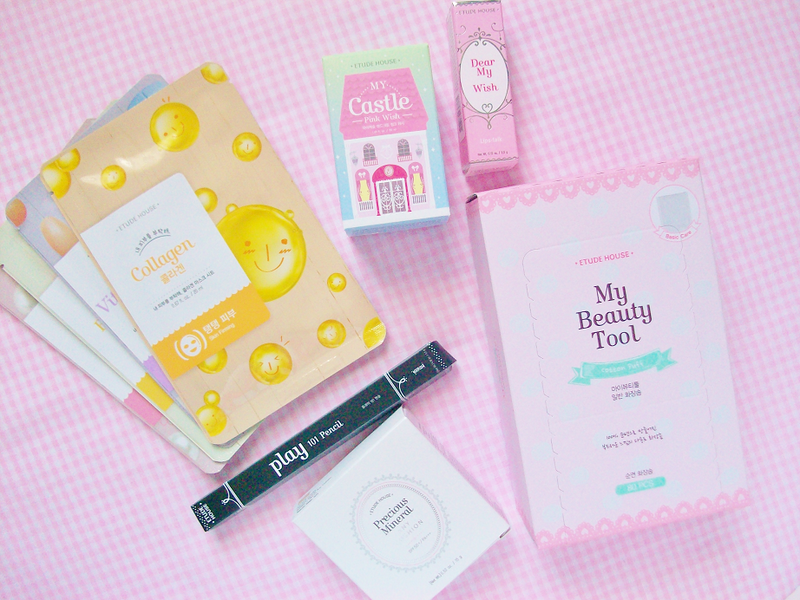 Let me know if you want me to review any of these products.